Ergonomically, mountain bike handlebars are great. But when you’re done riding, they get in the way of everyone who walks by, making storage awkward. And a herd of them in the garage can take up the space of small car. 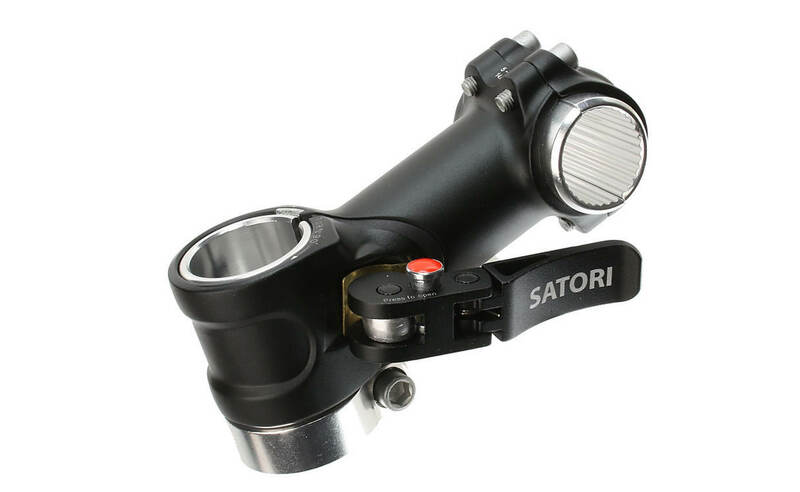 So put the Satori folding stem on your existing bike, and now you can pivot your handlebars 90 degrees in seconds. Bikes fit on bike racks easier, and your bike fits cleanly against the wall, closer to the door. Maybe you’ll ride it more now! Reduce the storing or stowage footprint of your bike. Fold your handlebars out of the way in seconds without any tools. Fixed riding and folding positions. Same assembly procedure as a non-folding stem.